Andrew Marshall Brown was born on September was born September 10, 1964 in Dallas Texas. The six foot right hand hitting outfielder attended the University of Nebraska at Lincoln, getting drafted by the St. Louis Cardinals in 2007, in the 18th round. In 2010 Brown got to AA Springfield, hitting 22 HRs & batting .291. The next year he was promoted to AAA Memphis where he hit .284 with 20 HRs & 73 RBIs, getting a short promotion to the Cardinals for eleven games in June. At the end of the year he was placed on waivers & got picked up by the Colorado Rockies. He hit well enough at AAA Colorado Springs to produce 24 HRs & 98 RBIs with a .308 average in 100 games. He played 46 games with the Rockies, batting .232 with 5 HRs & 12 RBIs. 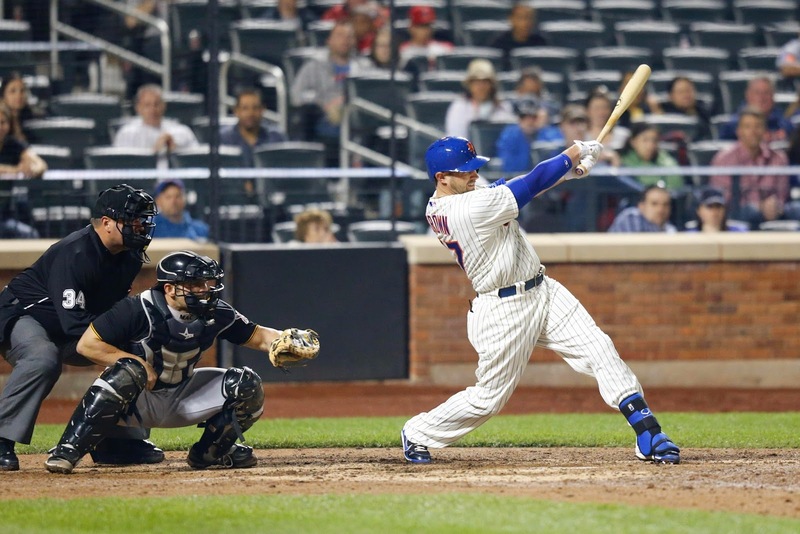 He was granted free agency & was signed by the New York Mets in January of 2013. Brown began the year at AAA Las Vegas, where he hit .346 with 7 HRs & 41 RBIs in just 41 games. He was called up to the Mets in early May when Colin Cowgill was sent to AAA Las Vegas. 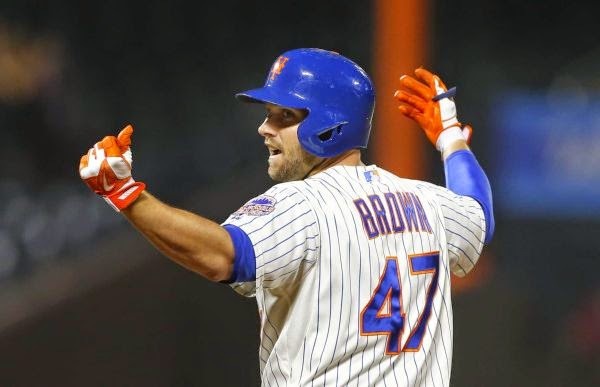 Brown debuted on May 3rd & hit a HR in his 6th Mets game later that month. On June 20th he hit a pinch hit HR off Matt Minor & the Atlanta Braves, tying the game in which the Mets went on to win 4-3. Later in the week in he hit another HR at Wrigley Field in Chicago. 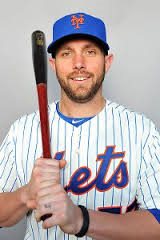 On July 1st, at Citi Field, he was the hero in an extra inning Mets win, when in the bottom of the 13th inning he doubled off Josh Collmentor, driving in Josh Satin & John Buck with the game winning runs, walk off style. Later in the year, he hit a three run HR in Arizona, helping the Mets to a 9-5 win over the Diamondbacks. He saw a bit more playing time that month & drove in runs in four straight games he played in on that same road trip. 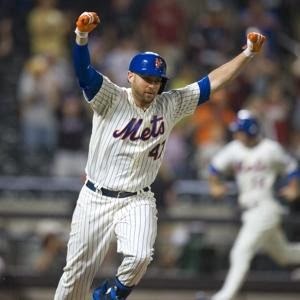 On August 30th, after driving in runs in two straight games, he drove in the winning run in a 3-2 Mets win at Washington over the Nationals. His 8th inning single off Jordan Zimmerman drove in Daniel Murphy in the 8th inning. In September he hit two HRs in the first two weeks but a slump saw his average fall to .227 to end the season. In 68 games he hit 7 HRs with 5 doubles & 24 RBIs. On Opening Day 2014 Brown found himself starting in left field & batting fifth, he responded with a 1st inning HR off the Washington Nats; Steven Strasburg. He would collect two more RBIs two weeks later in Arizona in a 9-0 Met win over the D-backs. He would get four starts in April but at the end of the month he was batting just .185 & was sent to AAA Las Vegas. He returned in June & hit a HR at Wrigley Field in his first game back. A week later he was sent back down after hitting just .182 with 2 HRs & 7 RBIs. He was placed on waivers in October, briefly selected by the Oakland Athletic but was soon granted free agency. He played in the minors for all of 2015. In a four year MLB career he batted .220 with 72 hits 14 HRs 14 doubles & 45 RBIs. He has played 90 games in the outfield with a .972 fielding % & seven assists.